Every family has its own recipe, the one dish that’s present through the picky childhood phases, passive-aggressive teenage fights, holidays, graduations, marriages, and rainy, lazy days. This is my family’s recipe. 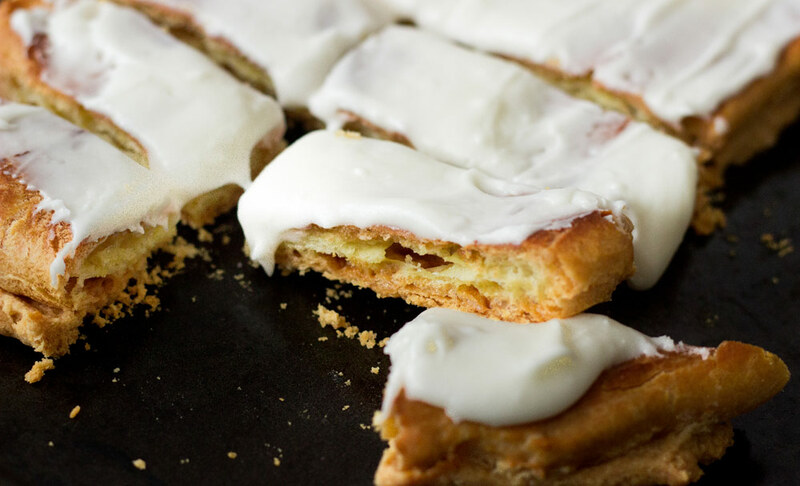 The flaky Danish Puff is my grandma’s classic “good morning” to guests. Woe to the ones who sleep in; they will be welcomed into the warm kitchen by a diminishing sheet of crumbs and family sitting around licking their fingers. It’s one of those things where you take a little piece. And then another little piece. And hey, might as well finish the row. It’s the taste of family and lazy mornings, and it is a priceless recipe in my own collection. This recipe is done in three different steps, each one taking no longer than five minutes of hands-on work, and makes two long Danish Puffs. The first layer is buttery and flakey, almost like a pie crust. 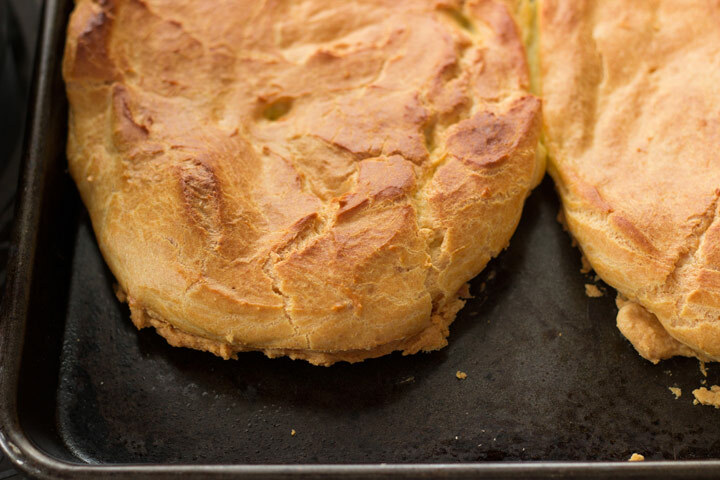 It is spread thin on a baking sheet and topped with another batter for a soft, puffy, delicate layer for which the puff is named. I am constantly amazed by a batter’s ability to start out so flat and, well, puff up. The frosting we use is a standard powdered sugar recipe. You want it fluid enough to spread but with enough sugar to harden after a minute or so. Also, this makes enough for about 10 people, but no one will object to making even more. The puff feels so light that one slice easily leaves room for seconds. 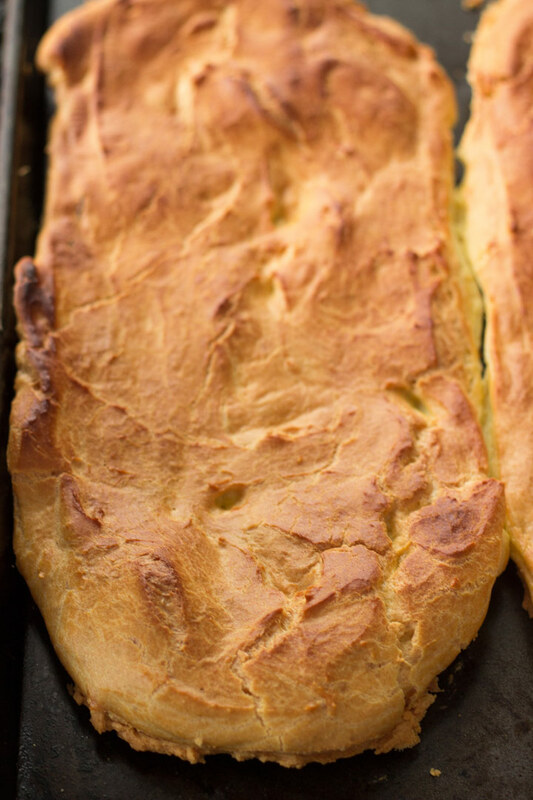 The first step in making the puff is to create the bottom layer, which comes together in a very similar way as standard crust, although this batter needs to be thinner so it can spread on the sheet without trouble. 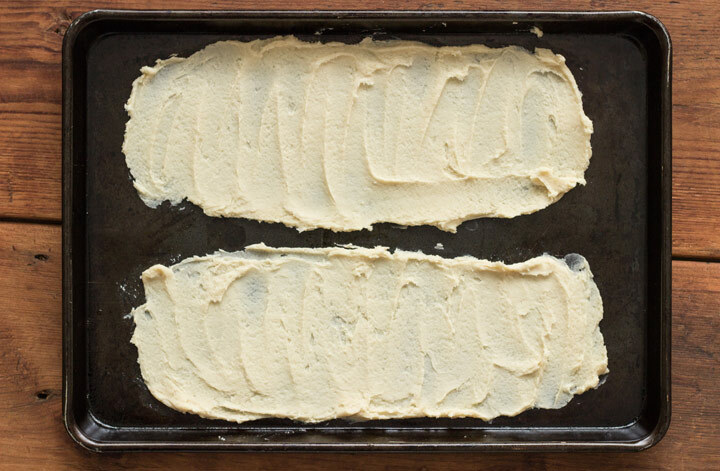 For this end, we use softened butter rather than the typical cold butter cubes. This step always scares me. The batter is very thinly spread into two columns on a baking sheet—so thin that it’s translucent in spots. The butter in the recipe will keep the puffs from sticking, so don’t bother greasing anything. After you’ve finished spreading, place the tray in the fridge until the batter for the second layer is ready. The second layer is constructed on the stove, where it very closely resembles a choux pastry (the same you would use for an eclair or cream puff). 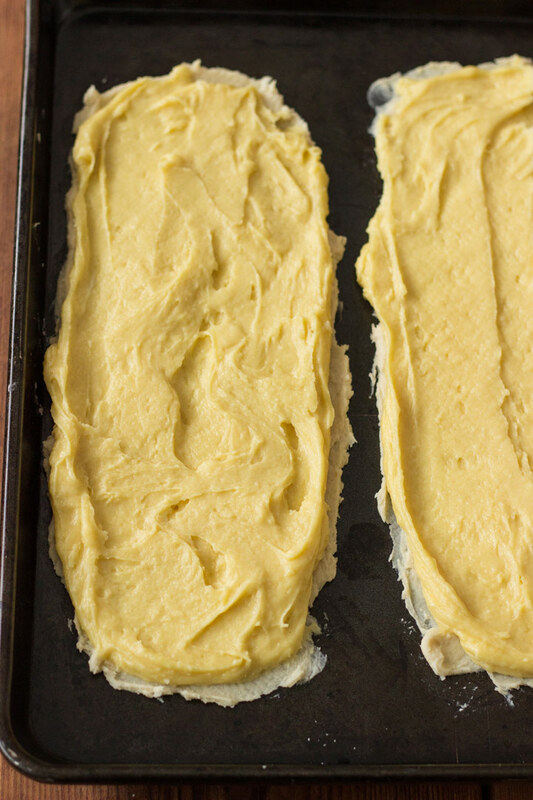 Choux pastry is incredibly light and airy, puffing up in the oven thanks to its high water content, which is turned into steam while it’s baking. The steam is the reason the puff puffs. This is where the recipe gets weird. We thickly cover the thin bottom layer with the puff batter, piling it right on top to ensure that the two layers cook together. While the lower layer is crisp and buttery, the top is going to be light and airy with a delicate creamy. Trust us. When the puffs have risen and are golden-brown, they are ready to be taken from the oven, after about an hour. There may be slight cracks along the surface where the top layer has expanded, but that’s nothing a little frosting can’t cover. 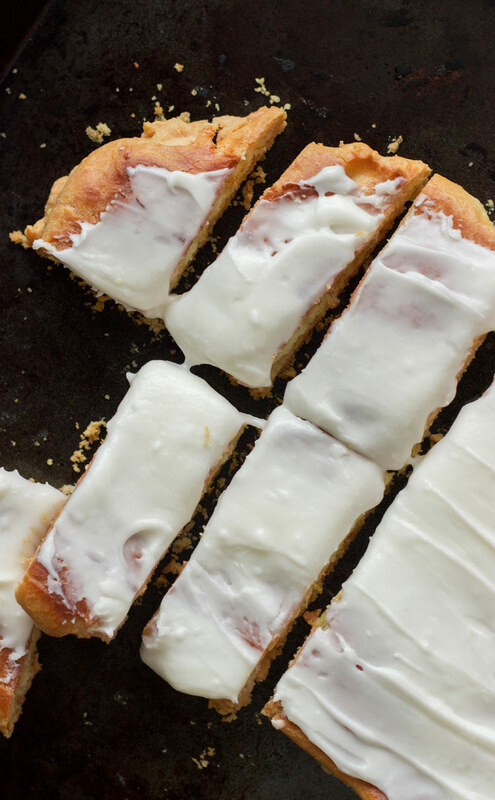 The crowning element on this recipe is the frosting. It is simple to make and lightly flavored with almond extract. You’d be hard pressed to find someone in my family who doesn’t like frosting, so we use a very generous hand when it comes to this sugary top. Allow the puffs to cool before frosting them, or you’ll have rivers of frosting running over your pan. 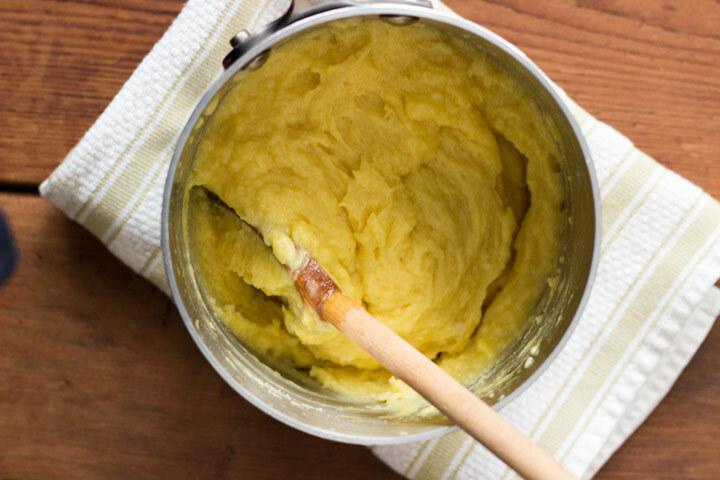 Cut 1/2 cup of the softened butter into 1 cup flour using a pastry cutter, potato masher, or a fork until combined.. Stir in ice water and salt with a wooden spoon until a thick, spreadable dough forms. Divide the mixture in half and spread onto an ungreased cookie sheet in two strips. The two strips should be as long as the cookie sheet and about 5-6 inches thick. The dough should be thin enough to almost see the sheet underneath. Place the tray in the fridge until ready to use. Over medium-high heat, heat 1 cup water with the remaining ½ cup butter in a tall saucepan until the butter has melted and the mixture comes to a nice boil. Pour in flour and mix continuously for 1 minute. A soft dough will form. Remove the pot from the heat and place into a bowl of ice water for 1 minute – otherwise you might get scrambled eggs. Once mixture has cooled slightly, stir in eggs, one at a time with a wooden spoon, mixing vigorously to incorporate. The dough will thicken and become creamy. Add the almond extract and stir to combine. Spread egg mixture on top of the bottom layer. Bake for 1 hour or until the top is golden brown and slightly cracked. 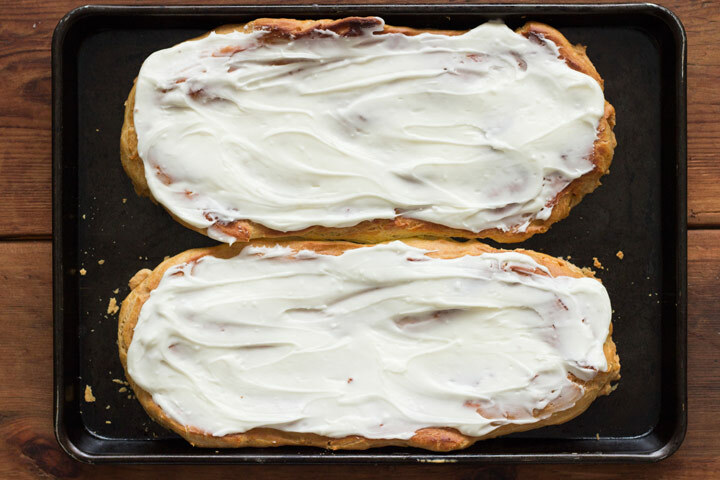 Once cool, spread the puffs liberally with the frosting and cut into strips to serve. Melt the butter and combine with 2 tablespoons of milk and almond extract. Pour slowly into the sugar and whisk until the sugar is fully dissolved. If needed, add more milk, 1 tablespoon at a time, to get a spreadable consistency. Spread onto the cooled puffs. Make sure you cover the surface completely, as no one wants to end up with a piece that isn’t sweet enough. I can not wait to try this recipe, Kate! It sounds SO good!